Ireland’s two ODIs against Sri Lanka will be streamed live via YouTube after an agreement was struck with Irish online TV provider Aertv. The broadcast, which will be supported by the ICC’s Development Programme, will make use of four high-definition cameras as well as replays and commentary. The deal is similar to last year’s arrangement with Quipu TV for the visit of Pakistan, which was viewed by almost 300,000 people. Sri Lanka will prepare for their tour of England with one-dayers against Ireland at Clontarf on May 6 and 8. The games will be streamed on the Cricket Ireland website and its YouTube channel, as well as on Dublin-based Aertv’s website. 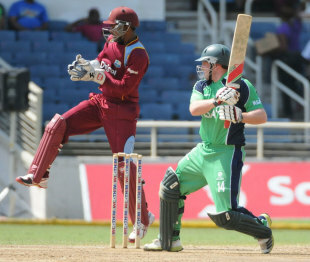 Ireland’s recent trip to the Caribbean, where they beat West Indies for the first time in a T20 international, was also broadcast online.